The following article was written by Van Hong, a co-founder of the SPAM FC Scholarship Foundation. 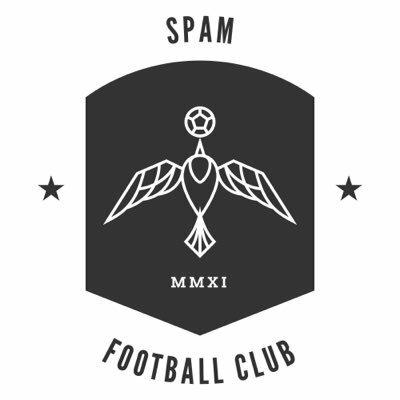 SPAM FC is an amateur club that play in the Minnesota Amateur Soccer League (MASL) and are well known for their fund which provides scholarships to soccer-playing youth in the Twin Cities. Hong wrote the piece below to further explain the foundation, its event, and how they’ve grown. Our previous piece on the club can be found at this link. Bao would give me a thumbs up, after 15 seconds of yelling at me, and make an amazing save against a great free kick. Walls don’t protect us from free kicks. It’s our incredibly athletic keeper, the fearless defenders, resilient midfielders and the productive forwards. Walls, for us, are nothing more than esthetics. They don’t really work. I play on a Minnesota Amateur Soccer League (MASL) Division 1 team called, “Spam Football Club” or Spam FC for short. We are a men’s league team and a nonprofit organization that focuses on helping students that have been positively impacted by soccer pay for college. Spam FC was a youth team originated in St. Louis Park that was revived and rebranded to become one of the most respected MASL sides in the history of the league since 2011. In addition to expressing our passion on the field, we have developed a platform called Spam FC Scholarship Foundation to give back to the Minnesota soccer community. Since 2014, we have donated nearly $30,000 to help 33 male and female students pay for books, tuition and other college-related expenses. Last weekend, we hosted our 3rd annual Spam FC Scholarship Dinner at the St. Louis Park Rec Center. The event was incredible - definitely one our best, ever! The night was filled with laughter, stories and lots incredible Khmer and Croatian food. Some of the items on the menu were egg rolls, spring rolls, curry, cabbage rolls and fried rice. We also had beer, wine and whiskey to wash the delicious meal down as well. In 2014, our first year, we raised $2,500. In January, the first month of 2019, we raised nearly $20,000. It was an incredible night and we are so appreciative of the generous donors that gave between $50 to $5,000. Our mission has always been to build a community to help students that have been positively impacted by soccer achieve their higher educational dreams. Last Saturday was another step closer. As our community continues to grow, we invite you to be a part of it. Because what we do at Spam FC goes beyond the 90 minutes on the pitch. We are providing young people financial and moral support and a platform to share how soccer has impacted their life in a positive way. We are empowering them to reflect and analyze the game from a different lens in hopes that they will be inspired to apply the lessons they’ve learned about the immense power of inclusion, community and failures to their daily life. At this moment, we are finding our groove and creating some momentum. But I feel like we’re just getting started. As a grassroots organization, we are always looking for support, media coverage and partnership. So, again, I invite any of you that stumble upon this piece to be join us. The soccer community in Minnesota is pretty diverse, which I absolutely love - we want to include everybody. If I didn’t end this piece with an analogy, then it’s just not me. If life was a soccer game, walls would be momentary fixes, not long-term solutions. As a self-acclaimed Spam FC captain for many years, I’ve always been optimistic and strategic about finding alternative ways to protect my team from conceding, so we can improve and grow. To do so, I would encourage my team not commit desperate fouls in our defensive thirds during meaningful moments. I don't like setting up walls, I don't like giving dangerous free kicks; if we're serious about protecting ourselves against our opponents, we have to find other solutions. I mean, just check out what Messi, Piro and Beckham did to wall. There are walls around them.